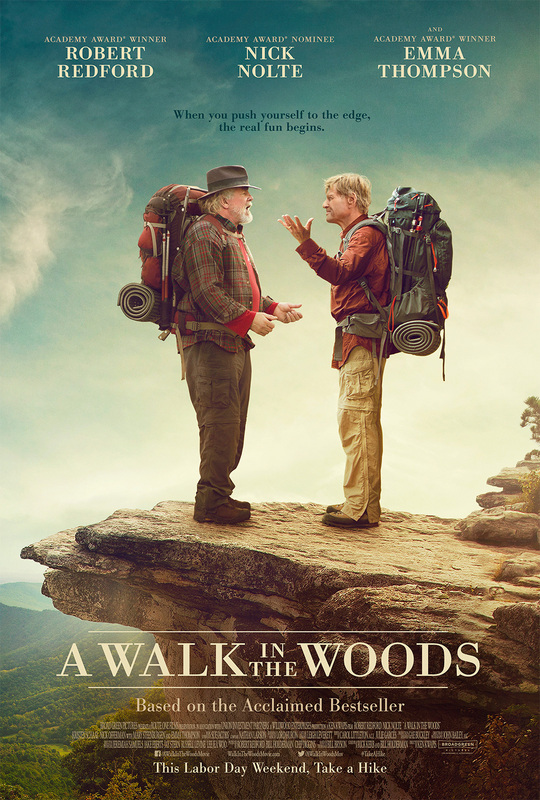 Based on Bill Bryson’s memoir of the same name and directed by Ken Kwapis, A Walk in the Woods stars Robert Redford as author Bill Bryson on a mission to hike the entirety of the Appalachian Trail. He reluctantly brings along an old friend, played by Nick Nolte, who proves to be quite a nuisance. Emma Thompson plays Bryson’s wife, Catherine.